Manage Europe and move toward the whole world! Enter the master's course of Grandes Ecoles by participating in French business & management schools Seoul tour program 2008! 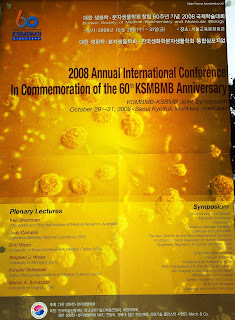 The KAIST Times is looking for stories about your experience during internships in summer 2008. Submit by email to fantasy9080@kaist.ac.kr along with your contact details. Jazz Dance Performance on November 17th, 2008. 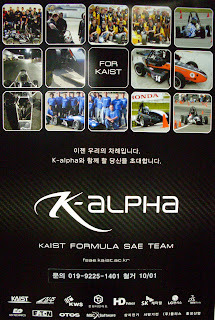 The first challenge for formula cars of KAIST. The International 600cc formula cars competition, FSAE. We invite you to join K-alpha. 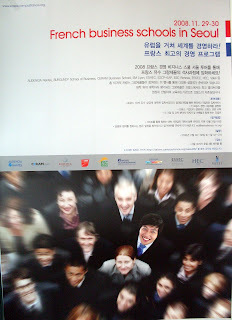 Qualifications: All KAIST students, both undergraduate and graduate students. Those talented in manufacturing, wuch as welding. Those capable of using CAD programs like ANSYS, Solidworks and technical analyzing and designing. Those with design sense for documents, posters, presentations and cars. Those who can edit videos. Those who can design electrical circuits. Those who major in mechanical engineering or fluid mechanics. Those with extraordinary interest and enthusiasm.